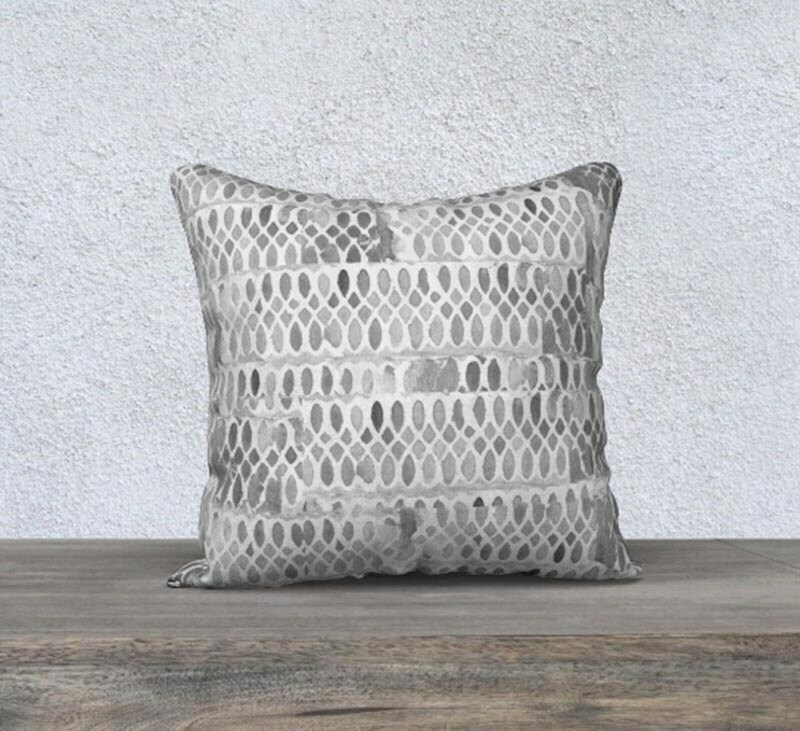 This gray decorative pillow is inspired by lace patterns and is created from a collage of my my original watercolor painting. This pillow is printed, cut and sewn using a very cozy, high quality velveteen fabric. You will love the luxurious texture. A very low nap- just super soft. It is available with the same print on front and back or with a solid soft white velveteen back. It is finished beautifully with a zipper on the bottom and the inside seams are overlocked for a neat appearance. It is available in either a 14" x 20" lumbar or an 18" square. It is sold only WITHOUT an insert. 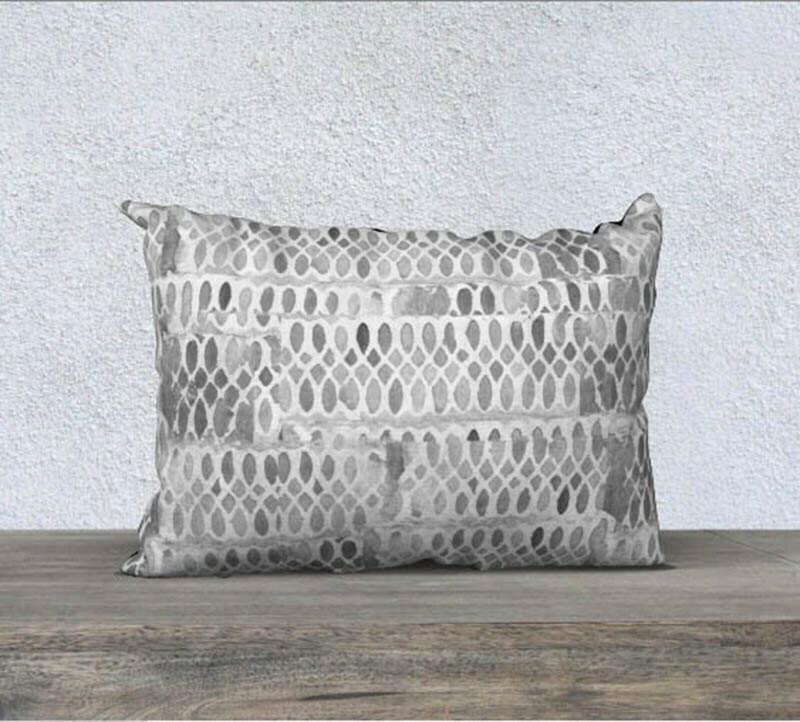 Save on shipping by buying a local pillow insert or repurposing an existing one. This item is created especially for you so please allow 2 weeks production + and additional 3-4 days transit. It is made in Canada and shipped from the US. directly to you via USPS. Tracking will be sent to you as soon as it is shipped. While I do everything possible to present the colors in my artwork as accurately as possible on this website, there will be slight differences among all computers/monitors and I cannot guarantee matching your specific decor 100%. Please be assured your pillow will be beautiful and the representation here is accurate to my eye. Thank you for supporting an independent artist! ©2017 Michele Spurza All rights reserved.